Sure, everything is bigger in Texas. But is the state on track to becoming the largest reverse mortgage market in the country? Absolutely, says Scott Norman, vice president of field retail and government relations at Finance of America Reverse, LLC, in Austin. He predicts that Texas will lead the industry by 2030. Considering that Texans, ages 65 to 84, are projected to be the second fastest growing age group (behind those 85 and older), nearly doubling in size by 2050 to a population of over 6.8 million, according to the Texas Demographic Center, Norman could be onto something. 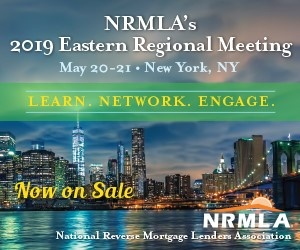 “The opportunities are limitless because Texas is such a young state, but aging quickly,” says Norman, who was named co-chair of the National Reverse Mortgage Lenders Association (NRMLA) last November. Couple that with the recent rise in popularity of proprietary loans, and it becomes clear why the state is climbing the ranks. But real progress in the state is slow, according to Melinda Hipp, branch manager for San Antonio-based Open Mortgage. To her point, Texas did not even have home equity loans until 1997. “It then took five years to have lines of credit home equity loans and reverse mortgages allowed, and then five more years to vote on the availability of the Home Equity Conversion Mortgage for Purchase,” she says. Opinions are also slow to change. “Since Texas was founded, in part, by protecting homeowners, generations of Texans were raised with the notion that borrowing against your home equity was not always a good thing,” Norman says. Homeownership in Texas is a big deal. But so is maintaining a comfortable lifestyle in retirement. Hipp has clients moving to Texas from California, New Mexico, Colorado and Illinois to downsize or “right-size” and move closer to their children or grandchildren. But Hipp isn’t anticipating a record-breaking year anytime soon. In fact, she says 2019 will be a “get back to normal” year after a slow 2018. She’s setting her sights on a more distant future. “The next 10 years will be very beneficial to our business as long as HUD remains friendly with the program and keeps us as a main product offering,” she says. In 10 years, it will almost be 2030. Will Texas reign supreme by then?